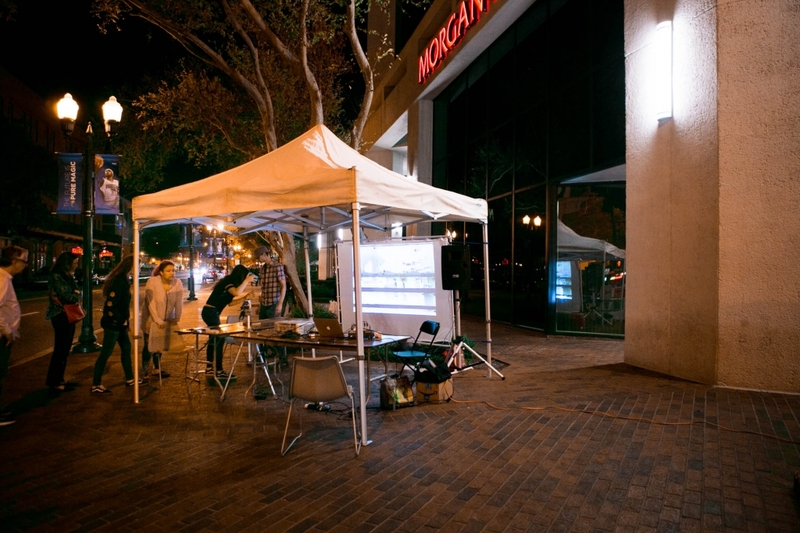 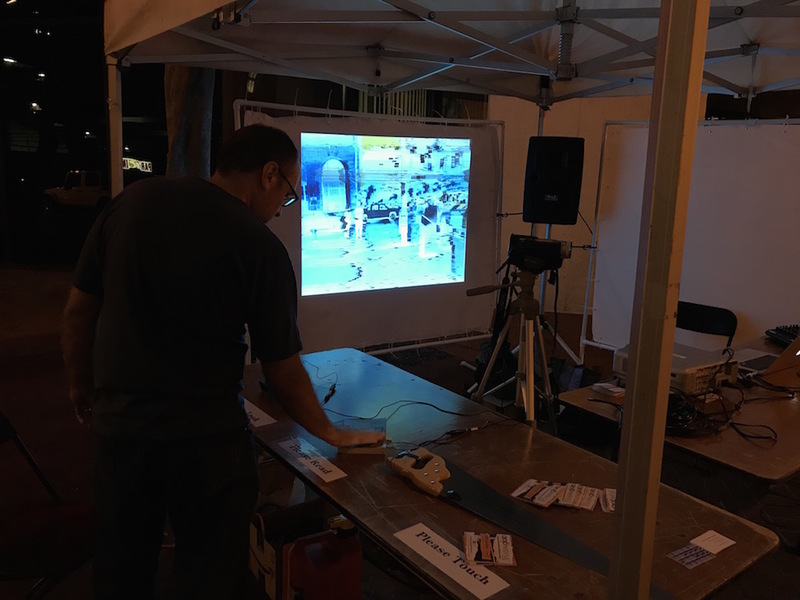 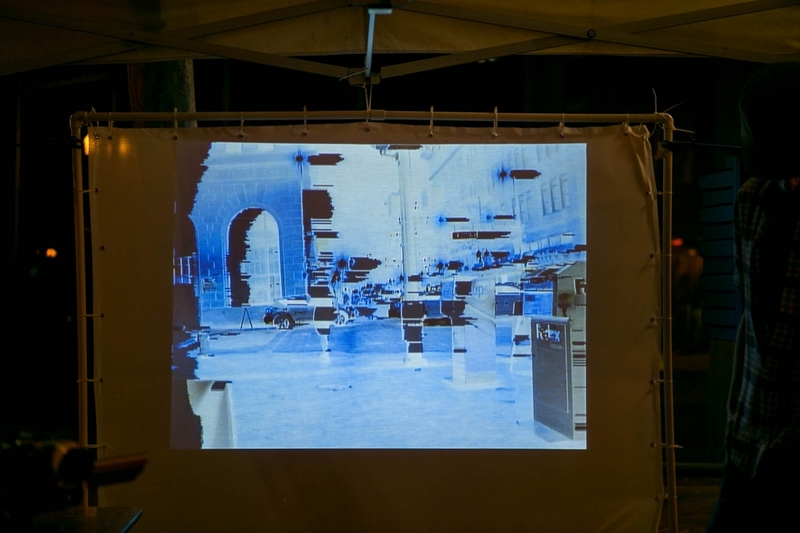 This project addresses surveillance and the street, introducing an ability to engage with the noise of the streetscape by way of a combination of interactive video and sound projection. 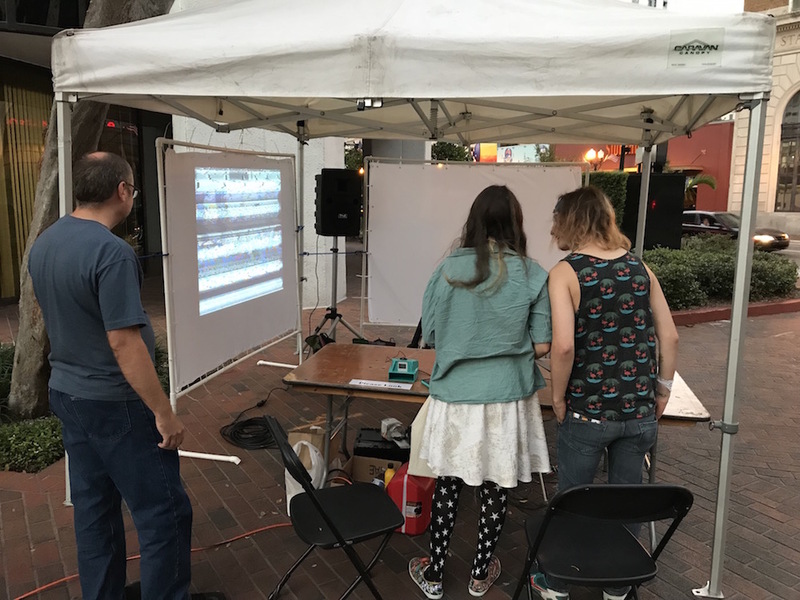 Through this installation, the public will have the ability to become performers, and perceive the effect they are having on the life of the street, harnessing and recording its unique features, including noise. 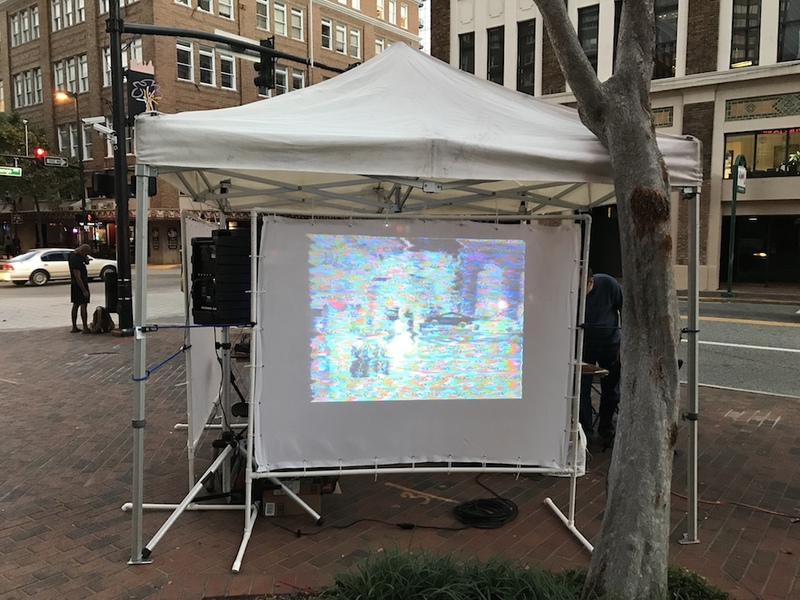 A post about the project and installation.